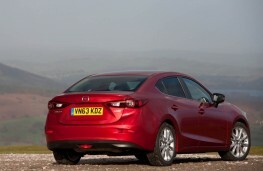 THE third-generation Mazda3 first appeared on our streets in early 2014 and immediately caused a stir for three reasons. 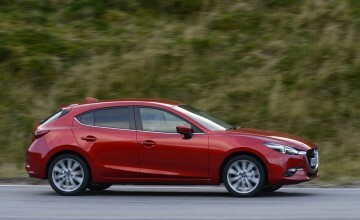 Firstly, it was a real head-turner in both hatchback and saloon "fastback" form as it used the now familiar Kodo "Soul of Motion" design first seen on the CX-5 and Mazda6 models. 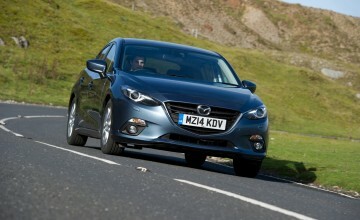 Secondly, it came with a cracking range of engines that had the SKYACTIV Technology to deliver genuine fuel efficiency. 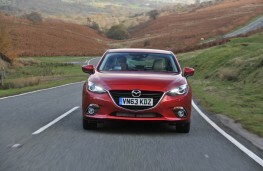 And, thirdly, it featured a raft of in-car technology that put it ahead of the game when compared with major rivals. In short, the Mazda3 became one of the best driver's cars on the market. 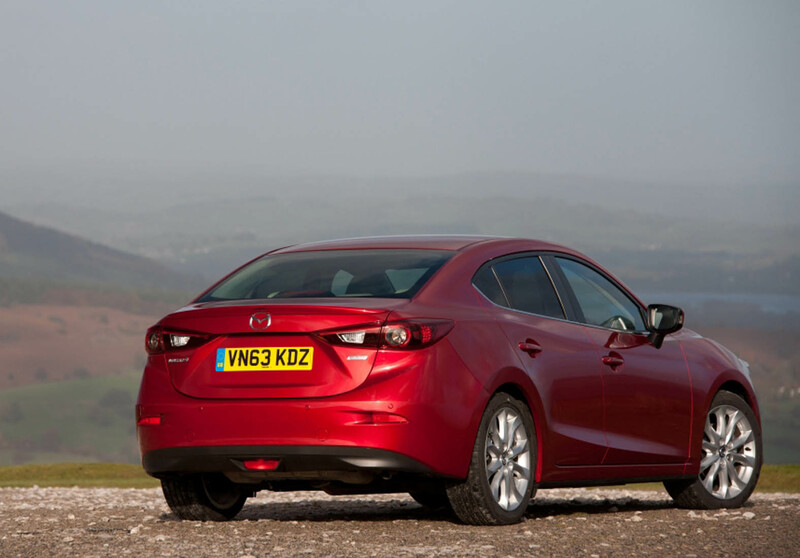 And the good news is that, with no fewer than 36 variants available at launch, you should now be able to find the right model to suit you if you're hunting for a second-hand compact family motor. To look at, this car had a lower and wider stance than its predecessor, with a sloping profile rising from the front to the rear featuring swooping lines and sharp creases. 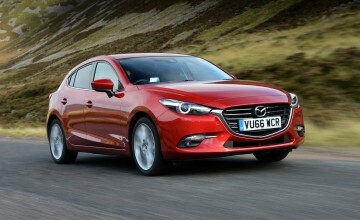 A bold grille and attractive alloys were complemented by LED running lights and tail lamps on all but the entry-level SE models. 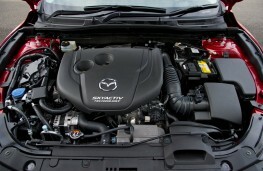 Mazda offered four four-cylinder engines for their newcomer. 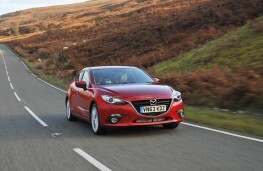 First up was a 100PS 1.5-litre petrol unit that returned a claimed 55.4mpg combined with CO2 emissions of 118g/km. Then there were 120PS and 165PS 2.0-litre petrol engines, which averaged 55.4mpg and 48.7mpg and emitted 119g/km and 128g/km of CO2 respectively. 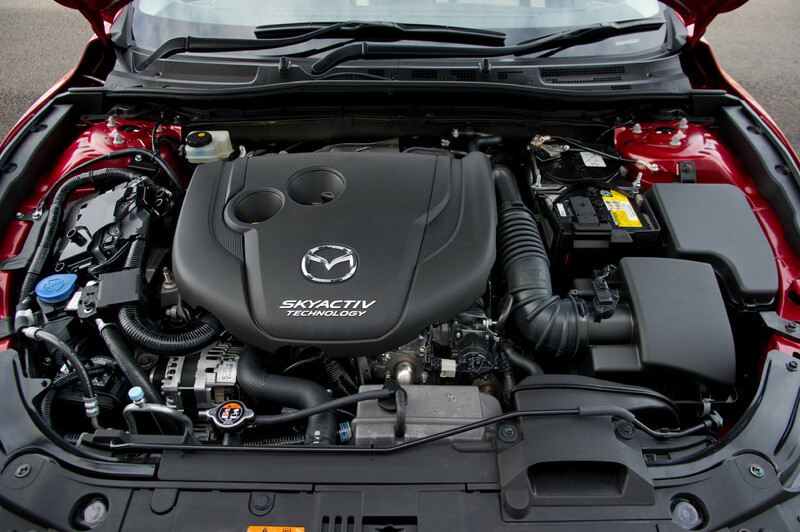 For those who preferred an oil burner under the bonnet, there was a 150PS 2.2-litre diesel that was good for as much as 72.4mpg on average, with emissions of 107g/km. If performance is important to you, you'll want to look at either the diesel, which sprinted to 62mph in just 8.1 seconds before redlining at 130mph, or the higher-powered petrol. The car was available in five trims at launch - starting with SE and rising through SE Nav, SE-L and SE-L Nav specs to the range-topping Sport Nav. 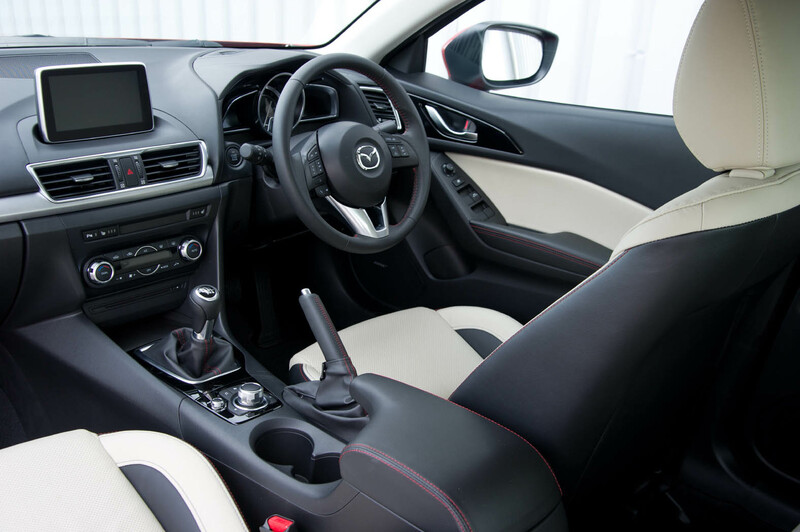 All versions featured a seven-inch touchscreen on top of the dash, as well as Bluetooth, smartphone hook-up apps that gave access to hundreds of radio stations as well as social media alerts and air con. Top spec models even featured a head-up display - unusual for a car in this sector. 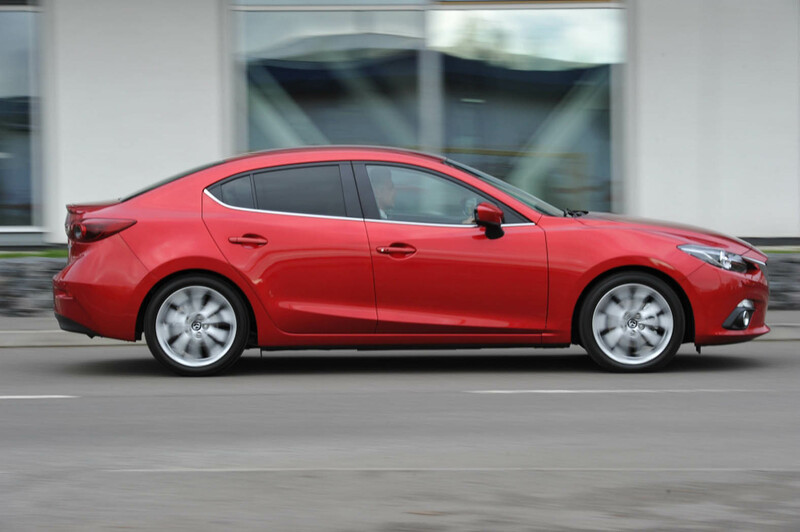 City braking anti-collision systems and stop/start were fitted as standard, while many first-time Sport Nav owners plumped for optional safety technology including lane departure and blind spot warnings, as well as adaptive headlights. The cabin was roomier than before - able to carry a family of five in comfort - and loaded with soft-touch plastics, deep-pile carpets and robust but beautifully crafted buttons and switchgear. The 364-litre boot in the hatch was good for a couple of cases, while the fastback had an even larger load capacity of 419 litres. 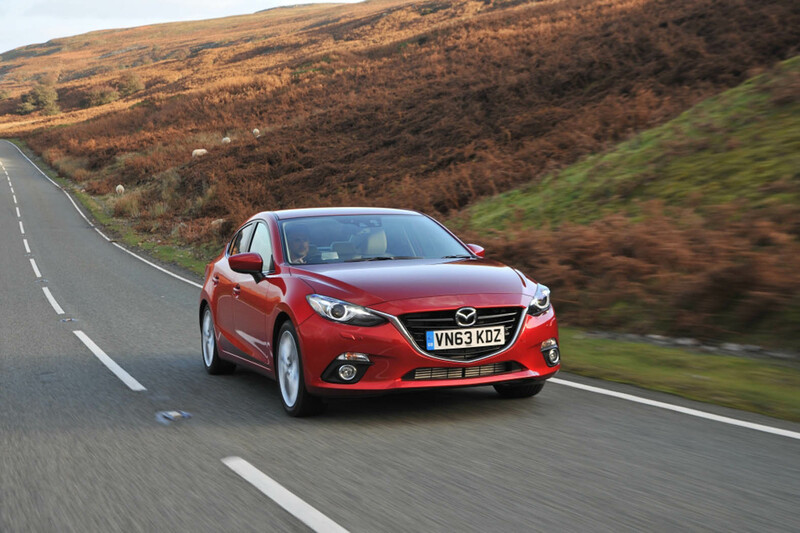 Perhaps best of all, though, is the way the car handles, especially on winding country roads. 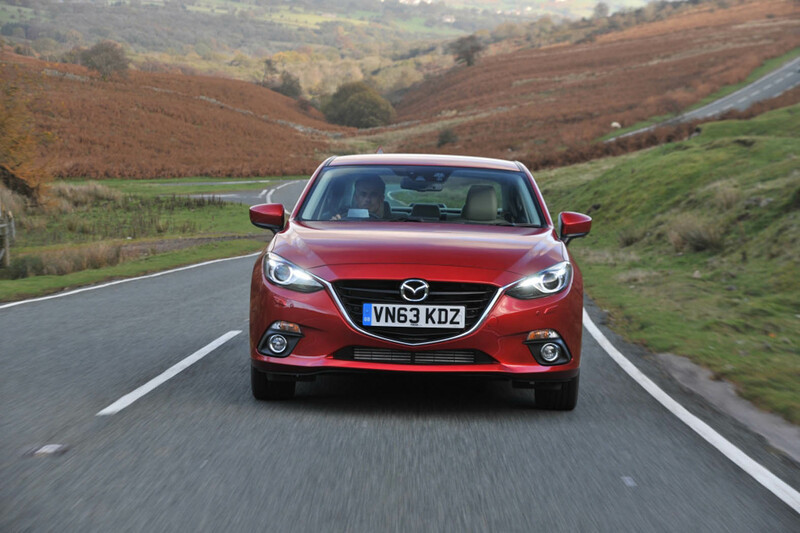 Whichever model you get, you'll find the MacPherson strut front and multi-link rear suspension help the Mazda3 stick to the road through bends taken at speed. We found a 2014 14-plate 2.2d SE-L saloon with a mileage approaching 67,000 for just £8,800. Meanwhile, a 64-plate 120PS 2.0 hatch in the same trim but with less than 23,000 miles on the clock was available for only £10,500. And there were plenty of other examples available in a range of trims and engines for not dissimilar money.